Rights Granted by the FCRA When Your Identity Is Stolen | The Consumer Law Group, P.C. The most common consumer complaint each year in the United States is identity theft, affecting more than 10 million people each year. 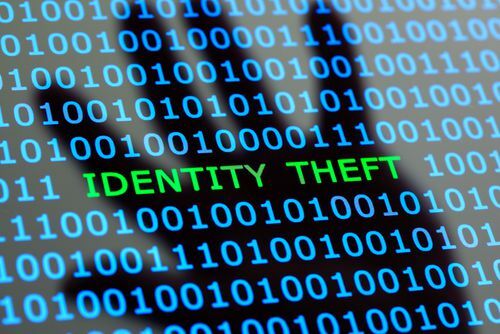 Often the result of data breaches in companies that store your personal information, identity theft is the unauthorized use of your name, Social Security number, date of birth, or other personal information, with the intent to commit fraud. One example of identity theft is when someone steals your information to open a credit card account in your name. The crimes identity thieves commit can damage your credit rating and affect your ability to get loans, maintain credit cards, and even get a job. Create an identity theft report. This report consists of a Federal Trade Commission Identity Theft Affidavit and a police report and proves to businesses that someone stole your identity. Place a 90-day initial fraud alert on your credit report. This tells creditors that they must take reasonable steps to verify who is applying for credit in your name. Place a seven-year extended fraud alert on your credit report. This alert means that potential creditors must contact you directly before they issue credit in your name. Get fraudulent information removed (or “blocked”) from your credit report. Once you report the theft to the credit bureaus, they are obligated to inform creditors that your identity has been stolen. Dispute fraudulent or inaccurate information on your credit report. When you write to a credit bureau to dispute information, they must investigate your dispute and amend it if you are right. Stop creditors and debt collectors from reporting fraudulent accounts. Creditors may not report fraudulent accounts to credit bureaus after you have filed a report of theft. Get copies of documents related to the identity theft. You have the right to get copies of any transaction records related to your accounts. You can also tell the companies to send the records to law enforcement agencies. Stop a debt collector from contacting you. Once you have told a debt collector to stop contacting you over fraudulent debt, they must comply. There is no easy way to overcome identity theft, but being aware of your rights and making every effort to exercise those rights will put you on the right path. If you have questions about your rights under the FCRA, start a live chat with us now.